Disney is truly my happy place. Well, one of my very happy places. If I could, I would live at Cinderella’s Castle, and ride It’s A Small World every day. The thing is the Happiest Place on Earth isn’t necessarily the cheapest. Don’t let that scare you from visiting. JustaBXgirl and I go to Disney World and let me assure you that this mama is not rolling in the dough. I know a lot of us want to deliver Disney magic to our littles but have limited pixie dust to make it happen. So, I’m here to help. 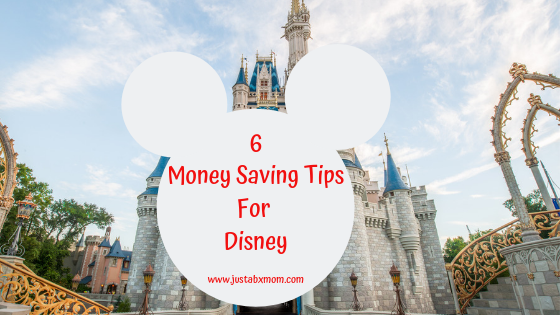 Yes, there are a gazillion sites you can visit that tell you how to save on your dream Disney tip and truth be told, this isn’t one of those. What I’m sharing here are the ways that make it possible for me to make the trip annually. Off Season Travel – We go in January to celebrate JustaBXgirl’s birthday. It also happens to be one of the most affordable times to go. This year, I priced it thinking we would go during a different time so that she wouldn’t have to miss school. Let me tell you, a few days off of school won’t hurt. The other times I checked would have had me paying double for our hotel! Airline Miles – I got myself in trouble talking about this on a site once. People felt I was telling people that they should use credit cards more. Listen, I’m all about staying debt free. I’m also all about using loopholes. I like to fly JetBlue so I have a JetBlue credit card that I use as my primary card. Using it to make most of my purchases allows me to gain airline points that I can then use to book flights. Now, again not telling you to go into debt but instead put charges on your card then pay them right off you still get the airline points. I also make sure to use my frequent flier number on all of my trips and pool points with JustaBXgirl. Yes, she has her own TruBlue number. Make sure to sign your littles up so they can earn points too. I usually pay for all the flights we take throughout the year EXCEPT our Disney flights. At least for the last three years, my points have covered those flights. Not having to pay for flights definitely helps the vacation budget! Disney Ears – You cannot have a Disney Trip without Disney Ears. Yes, you can buy these on-site but chances are, if you buy them ahead of time you can save a few dollars. This is especially good if you have a large family, or if you have a little that insists on a different pair of ears for every day of the trip. Another fun idea is to create your own Mickey Ears. Every year, I tell myself that I’m going to create some epic mommy and mini ears but alas, that never happens because I remember that I’m not the DIY type and I don’t give myself enough time to even pretend. Disney Shuttles – An average shuttle from Orlando airport to a hotel in the Lake Buena Vista area would cost $35 for adults and $27 for children roundtrip. If you stay at a Disney resort, even the value ones, you get free transportation via Disney shuttles to and from your hotel! And the value hotels end up costing less or at least the same as other local hotels. You also get regular transportation to and from the parks and Disney Springs. Now, the Disney hotels don’t offer shuttles to places like Universal and Sea World. We don’t visit Universal as JustaBXgirl is still too short to enjoy it BUT we do go to Sea World annually as well. I’ve taken to taking a shuttle to Disney Springs and then catching a Lyft to Sea World and saving me about $10. We then take a Lyft back to Disney Springs, get dinner then catch a shuttle back to the hotel. Disney Trading Pins – JustaBXgirl enjoys trading pins while at Disney. We started this a few visits ago. You can read about it here. I buy packs of them on Amazon then she trades with cast members and other children. We usually get a special pin from the park before we head home but trust me buying them on Amazon saves this mama lots of money because those pins add up! Disney Apparel – I pick up Disney apparel year round. Kohl’s and Target are two of my favorite places to find gear. You can also check out the Disney Store’s Twice Upon A Year sale. I slacked on this for this year’s trip. Somehow, other than Disney socks, it seems that I haven’t picked up anything new to wear for the trip! What kind of blogger am I? I didn’t plan cute coordinated Disney outfits. Oh well, hopefully you will still check out all of our fun even if you have seen us in the clothing before! So there you go. Those are a few of the ways I save money on our trip. Hopefully, these tips will help you feel more able to sprinkle some pixie dust over your family. Do you have any money saving tips of your own to share?